Fruity Pebbles feminized seeds produce, as the name suggests, some of the most flavoursome weed the world has ever seen with hints of sweet tropical berries and a candy-like aroma. 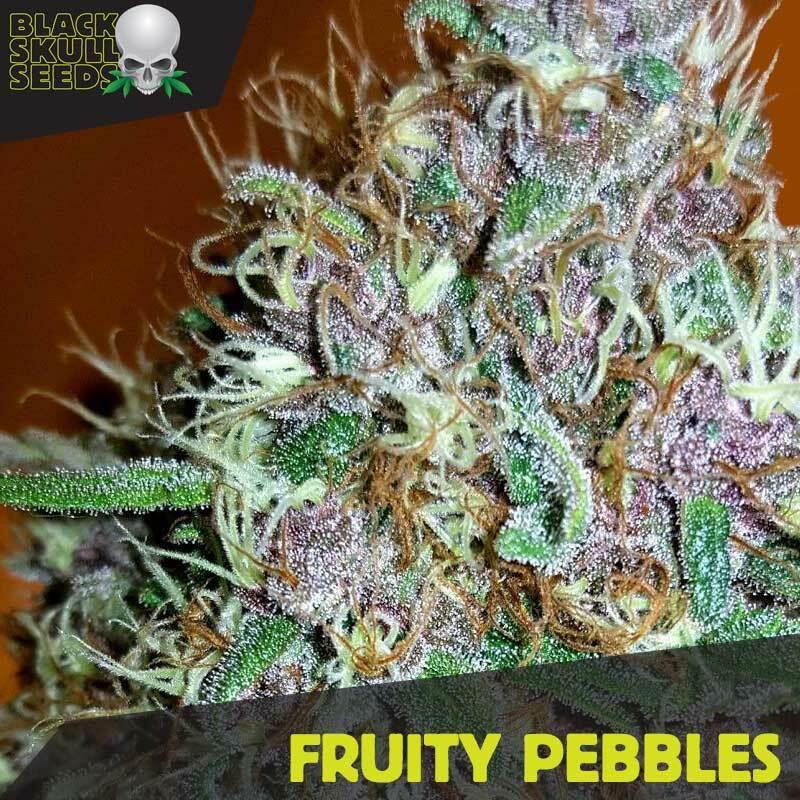 Fruity Pebbles is made up of some fantastic genetics including Granddaddy purple and Alien Kush making it a very potent new cannabis strain. Fruity Pebbles AKA Fruity pebbles OG was created by the infamous Alien Genetics and is a cross between popular Green Ribbon X Granddaddy Purple X Tahoe OG X Alien Kush strains. Fruity Pebbles Feminized seeds produce a slightly indica dominant hybrid (55% indica/45% sativa) with moderate THC levels ranging from 18-21% on average and has become one of the most popular strains on the market. Those who enjoy this variety describe it’s high as a cloudy, strong body buzz that is mind cleansing and follows with a mild couch lock. Although it gives the sensation of time slowing around you, it still leaves you with a friendly, energetic cerebral high that enables you to function. Fruity Pebbles, as the name suggests, tastes of sweet tropical berries with an aroma to match with minty green fluffy buds blanketed in resin and crystals. One of the most amazing features of this strain is the rainbow colouring of the hairs on the buds: a fusion of reds, oranges and purples. Fruity pebbles is ideal for treating chronic pain and mood disorders.